From it’s infancy the Gold Coast has always been a place to come to, probably due to the great weather overall and choice of lifestyles. One of the best things most people on the Gold Coast enjoy is the outdoor living. You can enjoy the natural environment and spend time with family and friends. Of course it’s always nice if you can do that in your own home, and this is where patios have many advantages. Patios are such a great solution for your home if you’re looking for extra space and a spot to entertain. They protect you from the elements and you can spend time with the people you care about in comfort. There are many ways that a patio can work with your house and here at Excalibur Steel Buildings, we are always happy to come out and talk with you, so you get the best solution for the patio you want. 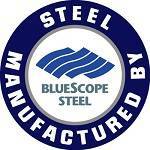 Based on the Gold Coast, Excalibur Steel Buildings was started back in 2001. However our experience as a family involved in the building industry now goes back over 3 generations. We still believe in personalised service and finding out exactly what you need in a patio, rather than just selling you a generic size and type that won’t do you or your house justice. How it will attach to your house – This can depend on the type of roof on your house, what sort of fascia you have, the height that you want for your patio and a few other factors. Having a complete design system means we can cover all types of attachments, which means you get the design which works best. The type of roof – you can choose from the premium insulated roof panel or use the very functional Flatdek II sheeting. This enables you to get a top standard finish at a price to suit your budget. Intergration – How the patio will intergrate with other projects you are doing, such as a timber deck. You want everything to look like it was always meant to be there. 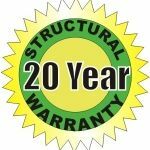 Such is the high standard of these patios that there is now a manufacturer’s structural warranty of 20 years. No matter where you are on the Gold Coast, we welcome the opportunity to talk with you about patios and how they can improve the appeal and value of your home, and more importantly, your own lifestyle. Our contact details are below, or just click on the link to get a patio quote organised. With a local steel branch, as well as a Brisbane based manufacturing plant and daily delivery schedule, patios can be dropped off to all areas and suburbs of the Gold Coast. Arundel, Ashmore, Benowa, Biggera Waters, Bilinga, Broadbeach, Bundall, Burleigh Heads, Coolangatta, Coombabah, Currumbin, Hollywell, Labrador, Main Beach, Mermaid Beach, Miami, Molendinar, Palm Beach, Paradise Point, Parkwood, Runaway Bay, Southport, Surfers Paradise, Tugun, Broadbeach Waters, Burleigh Waters, Carrara, Clear Island Waters, Coomera, Currumbin Waters, Elanora, Gaven, Helensvale, Highland Park, Hope Island, Mermaid Waters, Merrimac, Nerang, Oxenford, Pacific Pines, Robina, Upper Coomera, Varsity Lakes, Alberton, Cedar Creek, Gilberton, Guanaba, Jacobs Well, Kingsholme, Luscombe, Maudsland, Norwell, Ormeau, Ormeau Hills, Pimpama, South Stradbroke Island, Stapylton, Steiglitz, Willow Vale, Wongawallan, Woongoolba, Yatala, Advancetown, Austinville, Bonogin, Clagiraba, Currumbin Valley, Gilston, Lower Beechmont, Mount Nathan, Mudgeeraba, Natural Bridge, Numinbah Valley, Reedy Creek, Springbrook, Tallebudgera, Tallebudgera Valley, Tallai, Worongary.